This post is slightly belated (as I had planned to do it on Thursday) though – I do have a valid excuse. Last night I had foolishly spilled water all over my laptop. And, sadly – it seems to have fried the circuits in my keyboard (if I have to guess). I didn’t have the patience to fire up my work pc and rather just went to bed to try and sleep off my flu. 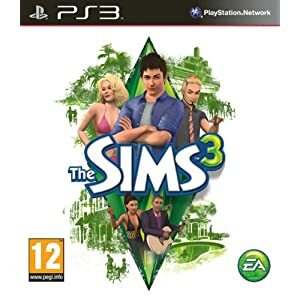 Game Review: The Sims 3 for Console. Up until 2008, I used to be mainly a pc gamer, indulging myself in games like Warcraft, Age of Empires, Tomb Raider, Unreal Tournament, Half Life, Need for Speed and Prince of Persia. Oh, and let’s not forget Black and White, the game in which you are the giant hand of a benevolent (or malicious) god. And, of course – the Sims. I played this game just as it was released, spurred to buy it by curiosity (even though I am a blood and gore person by preference). I was pleasantly surprised by the amount of hours that I lost to it and found the social dynamics of the game fascinating to watch. (Yes, I was one of those who would drown unsuspecting visitors in my pool so that I can create a backyard cemetery for all my haunting needs…). When I purchased a PlayStation Portable in 2008 (handy for the excessive traveling that I was doing) I ventured out and got Sims 2 Pets at a second hand gaming store, knowing that it would probably be harder to manage than it’s pc version. It… was, I’ll make no lie of that, but – after some practice I got the hang of it and enjoyed the game just as much as it’s predecessor. So, when Sims 3 for the console (PS3 specifically) was released, I knew that I had to get it. I started playing it about two weeks ago and – as anticipated once again, first found myself struggling to manage the controls, sort out what my Sim needed to do and figure out the deeper dynamics of the game. It offered a lot more functions and methods with which to make your Sim unique. The star sign personality determinator (yes, I just made up that word) fell away to choosing traits and lifetime goals for your Sim. You could now make your Sim a loner, a couch potato, an athletic guru, a book worm, a computer geek, an insane individual (who can fish in swimming pools), a green thumb gardener and many more. What’s more, you had more career options to choose from, a lot of self-employed activities which could keep your financial boat afloat and the best part? You didn’t need an obscene amount of friends to further yourself in any career. One of my biggest problems with The Sims has been the whole aspect of making friends. My Sims always failed to be successful career individuals and maintain a healthy social life. Organizing parties are too complicated for me and keeping contact with the 25 friends that you needed to further yourself in politics or journalism was a waste of great gaming time (in my opinion – I’d rather just drown them all). Now, you have so many other options available to you. And the details are brilliant. Although I tend to play my Sims in Fast Forward (I still like to kill them as soon as possible for that unique haunting experience) I find myself dropping down a few paces to observe my occupant (victim). Their facial expressions are wonderful. You can see what they are thinking, you can tell when they are enjoying a book (or when they aren’t) and on the odd occasion, you’ll find some random pregnant woman have a baby on your doorstep. What more do you need? The interactions are much less artificial, you can fill your house with fish tanks of fish that you caught in local ponds and you can make a living without ever needing to leave your house (or fire your maid because she’s stealing food from your kitchen). The only down side is the loading times needed for transition between locations. Although they are not lengthy, they are quite a lot. When ever you needed to go somewhere, you as a gamer had to be patient as hell. And, unfortunately, occasionally your Sim will be victim to a gaming glitch which would have them either stuck behind the mail box unable to get out or stuck behind a fellow room mate who is unwilling to move. But – every game has its faults. In Fallout New Vegas for instance I readily get assaulted by random flying geckos who seem to hover in the air like super man. I still get rid of them and carry on with the game. I also struggled with the tutorials, as they didn’t quite tell me what I needed to know. But, then I discovered Carl’s Unofficial Sim 3 gaming guide, and my problems were solved. I can highly recommend reading it. So, if you have been considering purchasing the console version of this game, but fear that you might loose the gist of it due to the controls, think no further. It’s worth it.